my.chic.boutique has no other items for sale. 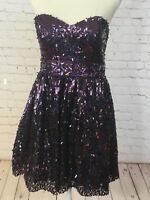 Bari Jay Women's Size 14 Sweetheart Halter Top Dress! Brand New with Tags!! Thank you for shopping with me. I am happy to combine shipping. Please let me know if you are bidding on or buying more than one item and wait for a combined invoice before paying.